We leave for England in 5 days! 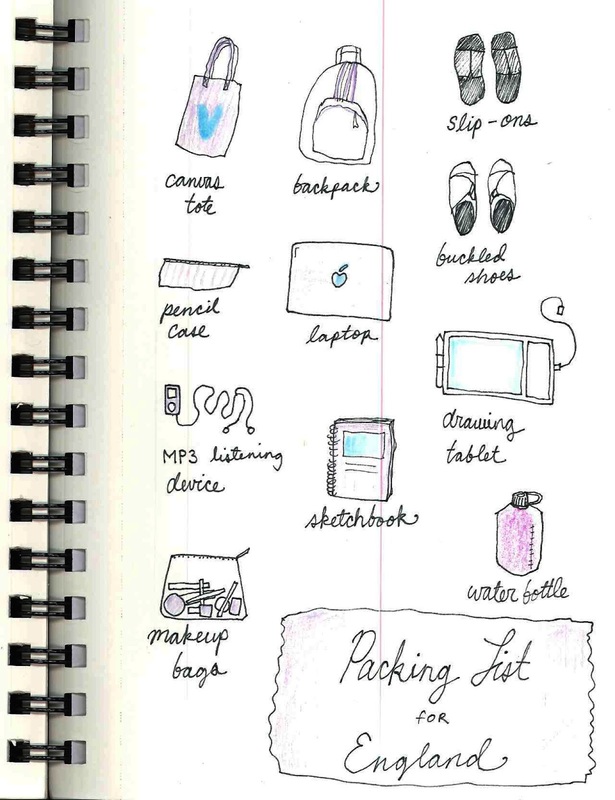 I drew a list tot the essentials for travel. - Pencil case, for sketching! - Sketchbook, um, for sketching! Exclamation point! Again! Another! Lots!!! - Generic MP3# listening device, stocked with Mark Kermode's Film Review podcasts (Hello to Jason Isaacs)! - Makeup kit, gotta look fab in a metropolis! 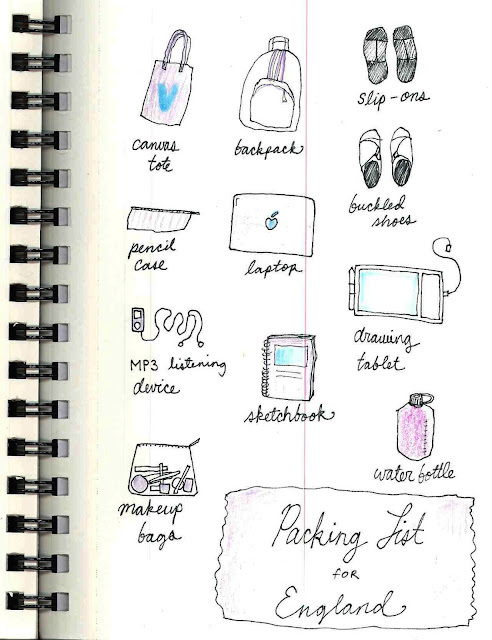 You'll notice this list does not include Passport or wallet. Don't worry. The plan is to take those too. This morning we went through some rules about the Underground and pressed a map of London. She reviewed the emergency phone number to call in England. It is 999 not 911 like in the US. That reminded me of a scene from one of my favourite British sitcoms called The IT Crowd. WARNING! A CHARACTER USES THE "B" WORD AT THE END OF THE CLIP!